Some will say that love is not enough. Perhaps it’s not. Perhaps gratitude and respect are necessary, too. But what is love without respect or gratitude? Is it even real? If love (in its entirety) is not enough then we are chasing an illusion of unity. If God is love – which he purportedly is – then would he mind if we changed his name to Love? God = Love, therefore Love = Love. And love does beget love. Do you think ours is the type of God who would mind having his image upgraded? I don’t think he is. I think he’d appreciate a facelift. What is his name – just ‘God’? There must be more to him than that. I wonder – why weren’t we told more than we were about who our God is? Everyone got sidetracked with Jesus. I believe we have evolved enough as a people to ask who this God was who said. Because in the bible, he just said. He said, and things happened. How did he do that? I wonder if Jesus was not a magician. How to tell the world their saviour works magic? It’s not easy. They came up with the bible as metaphor, as explanation. Miracles and magic – what is the difference, essentially? Maybe the Jews were afraid of Jesus’ tendency to perform ‘miracles’ and wanted his ability to confound the senses censored, or silenced? It’s all in the supposition. Maybe there are reasons for their seriously savage treatment of Jesus. Maybe. I am not sure – if the bible is anything to go by – whether they didn’t go slightly overboard. He was one man. He caused a lot of panic and a lot of hatred. It’s interesting. Maybe God has gone deaf. He is old, it’s possible. If he is deaf, then how do we get him to hear our prayers for a better world? We speak to him in different ways. If we must learn new ways, he must learn new ways. How else can we all go forward? I think his whole image needs a make-over. The Christian God, that is. 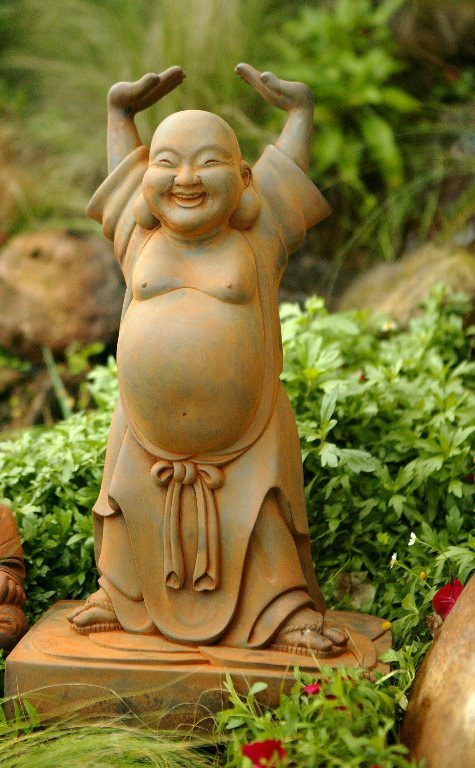 I think Buddha is happy with his status and his scope. I am sure Shiva is doing what she always did. Etc. If we can learn to speak with our hearts instead of defaulting to our heads every time, things could change. When trusted, the heart speaks truth through your actions. The heart speaks truth usually when there’s no time to do anything else but trust it. That is pure motivation. That is measured risk – which is not the same as gambling. That means you can move with chaos, and know your way forward. Trust your heart in the rush of your every day. It knows you best.